For today’s post, we travel a bit further up the seacoast to York, Maine. 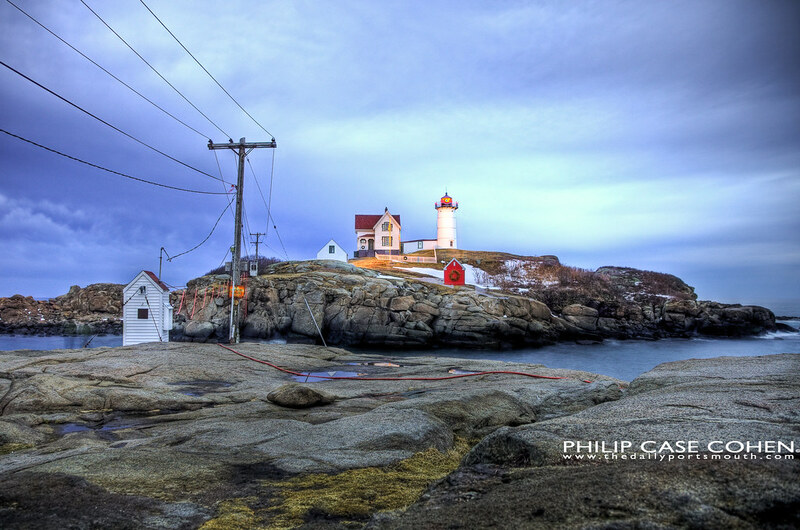 It’s here that the Cape Neddick “Nubble” Lighthouse was built in 1879 off the rocky coast. The lighthouse stands at 41′ atop the island, with an overall focal plane at 88′ above sea level. This place is hopping throughout the summer with both tourists and locals who are looking for a taste of New England scenery, and makes a quieter and colder destination in the late winter months. as you know one of my favorite places to photograph. nicely done.